The Seney National Wildlife Refuge is one of the Upper Peninsula's major tourist attraction with over 88,000 visitors to the refuge annually. The Seney National Wildlife Refuge is comprised of 95,212 acres of wildreness, swamps, islands, and lakes. The Seney National Wildlife Refuge is one of the Upper Peninsula's major tourist attraction with over 88,000 visitors to the refuge annually. The Seney National Wildlife Refuge is located in Michigan's Upper Peninsula - just 5 miles south of Seney, Michigan, on M-77 and just two miles north of Germsfask Michigan. >Click here for Visitor Information and Refuge Map. 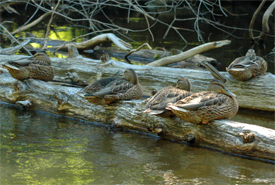 The Marshland Wildlife Drive is a self-guided auto tour. It is 7 miles long and is open from Mid-May to Mid-October. Enjoy driving through and viewing many wonderful sites, the handicapped accessible observation decks, and the scopes used to view wildlife that they offer. The Seney Wildlife Refuge has so much to offer the conservationlist, the sportsman, the bird watcher, the wildlife lover, the kayaker, the fisherman, just to name a few. You can explore the refuge in many different ways: drive through in your vehicle, bicycle, walk and hike, canoe, kayak, snowshoe, and cross-country ski. Plan a kayaking or canoeing trip on the Manistique River - drift quietly through the Seney Refuge. This is a great opportunity to see wildlife! 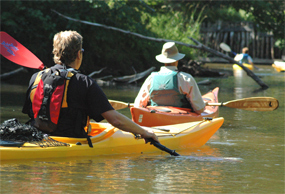 >>Click here for Info from the Refuge on Canoeing & Paddling. The Seney Wildlife Refuge became a reality in 1935 with the objective to protect migratory birds and other local wildlife. 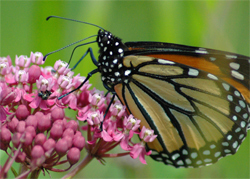 After years of restoration, placement of dykes, water control, roads, and ditches, the refuge boasts a healthy wildlife environment for a number of species. It's 7,000 acres of water, 26 pools and 95,212 acres has become a major harbor for nature and wildlife.